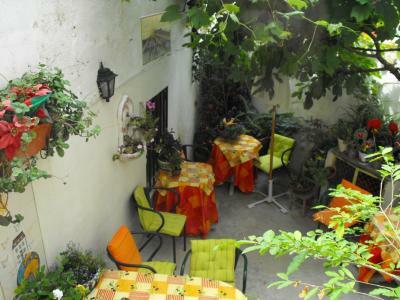 Lock in a great price for Guesthouse Casa Pombal – rated 8.8 by recent guests! Nice location except very hard to reach dragging suitcases from the closest parking space we could find. Wonderful old building full of character and personality. Made new friends every morning in the breakfast room. The staff was patient and helpful with me. The guesthouse is well-located and has a fabulous view. The property will be undergoing a major renovation under the new owner, who is delightful and made great recommendations for local places, as well as our visit to Aviero. Loved the location. An easy walk to everything, but away from the midst of activity. Breakfast was wonderful. Staff were welcoming and helpful. Beds were comfortable. Quiet at night. Spotlessly clean. Great internet. The location is fantastic.. 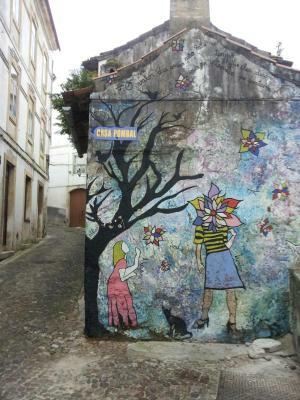 In the old histotic section of town, very close to the university. Great staff and very interesting fellow travelers. Fun location high above the city with easy university access. Great value, location, and ambiance. A little cramped and creaky, but the rooms were clean and we had a washbasin in our room. Beds and pillows were comfortable too. The owner, Alexandra was an incredible host with good information about Coimbra. 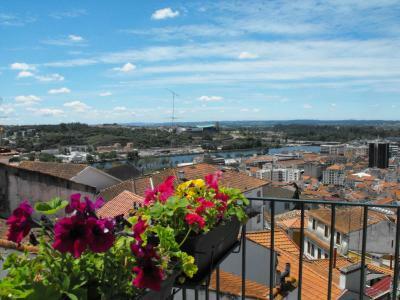 Boasting a picturesque hilltop location, this old townhouse offers a characteristic Portuguese charm with is vine-covered patio and traditionally-tiled breakfast room. Guests can benefit from free Wi-Fi access. 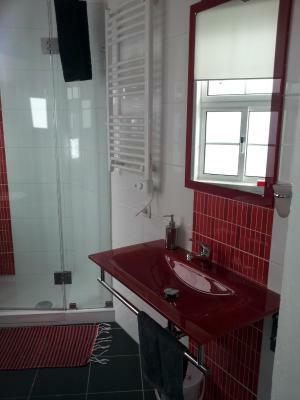 The individually decorated rooms at Casa Pombal have either shared bathroom facilities or a private bathroom. 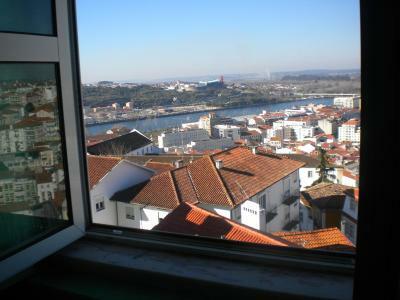 Some of the bedrooms feature views of Coimbra and the Mondego River. Guests at Guest house Casa Pombal can enjoy freshly squeezed orange juice and a variety of vegetarian options in the breakfast room with its blue tablecloths and wall coverings. The sunny patio offers a romantic setting for a drink. 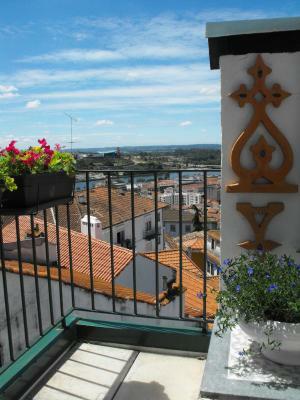 The 2nd floor terrace offers old town and river views. 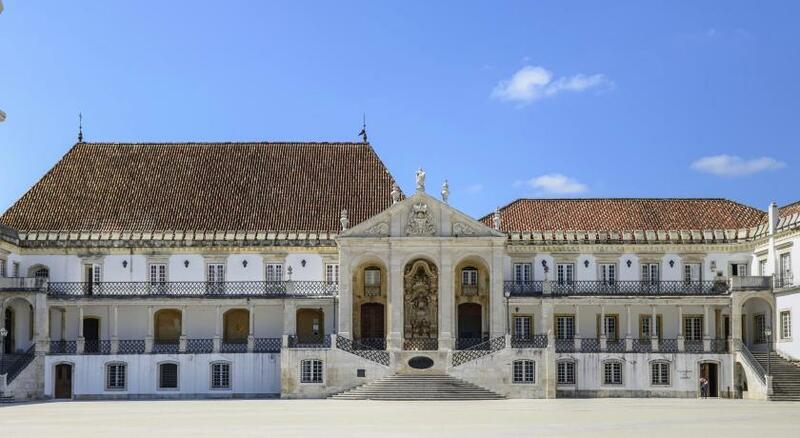 The Casa Pombal Guest house is located directly next to Coimbra's old University and the Museum Machado do Castro, in a UNESCO World Heritage Site. Various restaurants with local food and sunny terraces are a 10-minute walk away. When would you like to stay at Guesthouse Casa Pombal? This individually decorated room has shared bathroom facilities. This individually decorated room has private bathroom facilities. House Rules Guesthouse Casa Pombal takes special requests – add in the next step! Guesthouse Casa Pombal accepts these cards and reserves the right to temporarily hold an amount prior to arrival. 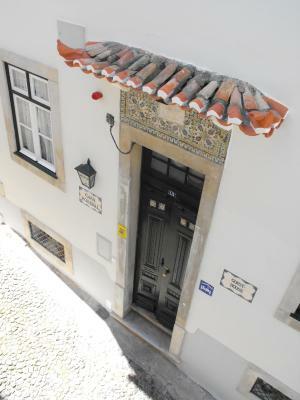 Please note that Casa Pombal is a 100-year-old townhouse in the historic center. It is not easily accessible for less mobile guests (small stairs, 3 floors and no elevator) and the streets around are all cobbled stones. Ceilings way too low in our room and in the bathroom for my 6’4” husband. Think the wallpaper in room 8 hasn’t been changed in 40 years! I liked everythink! Cosy hostel, feels very homey. Clean, quiet and Alexandra is indeed a great host that goes out of her ways to make you feel welcome. 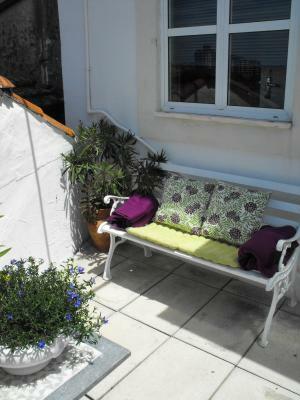 Location, cleansiness, welcoming host,really cosy place. 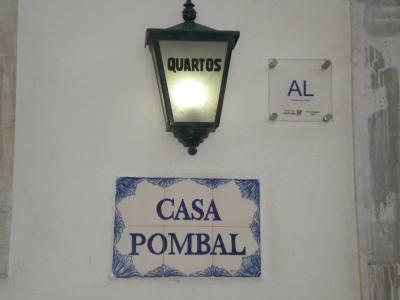 Casa Pombal was a beautiful old guesthouse, well maintained and adorably decorated. Clean, bright, delicious breakfast, and a gracious & welcoming host. 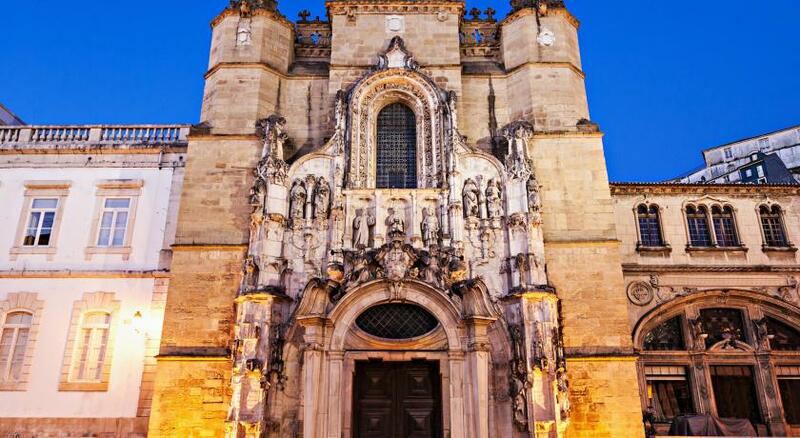 Located in the center of the old town, quiet at night and a gorgeous view. We loved the staff helpfulness, their useful suggestions to enjoy the town and avoid troubles with the car; the wideness and furniture of our room, the cleanliness of the bathroom; the terrace overlooking Coimbra; the abundant breakfast with quality ingredients; the position in the heart of the old town, two minutes walk from the university; the traditional decoration with azulejos in the breakfast room. Plus, I loved the availability of a boiler to make tea anytime. Hard to get. Steep uphill and many stairs. Everything. Esp. Alexandra the host. She is very very friendly and helpful. You can see that it's her nature. I will definitely go again with friends. I should have stay 2 more nights! The room was tiny. The shower was also too small to shower properly. There was no safe, poor/ rough towels, some redecoration needed in places. The TV was very small. Sort of 1* place. The location was excellent and the breakfast room a real treat as you could have tea or coffee anytime. The lady owner was very pleasant and helpful and helped with our planning and restaurants. Old style 110 year old house. WI Fi was good. The main problem is the one they tell you about from the beginning. It’s at the top of very steep cobblestone Lanes and then you have to climb up narrow stairs. Although the staff helped me with my bags both ways and I took taxis to and from the train station. It would be impossible if you were disabled But I am 66 and found I managed fine. 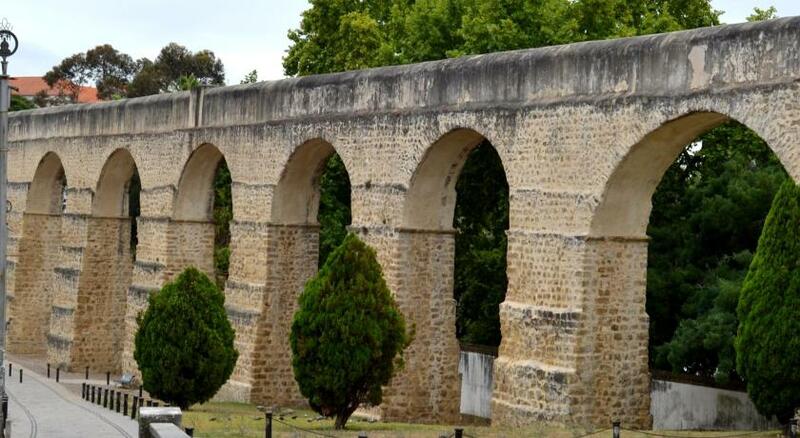 It is right near the ancient University and more than worth the effort. Nice location to the university but farther and all downhill to any restaurants. The regular manager was not there after we checked in and the person filling in tried to be helpful but really was not helpful at all. A few noise issues dealing with the plumbing-but those will be addressed in the renovation. Absolutely the only negative was difficulty in getting the shower door to close completely. It was a little difficult to find initially. The beds were not particularly comfortable. There is no air conditioning, but room stayed cool.